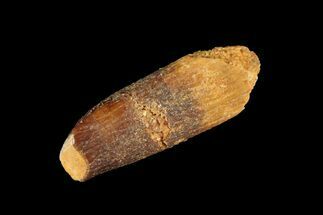 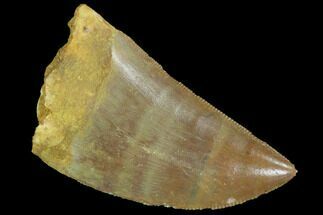 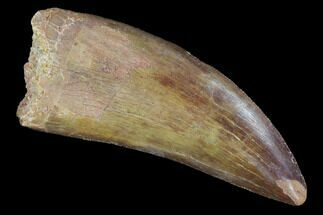 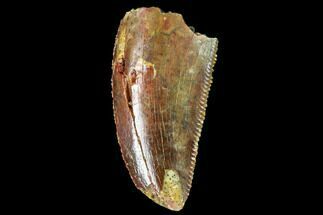 This is a 1.37 inch long theropod tooth from the Cretaceous aged, Tegana Formation of Morocco. 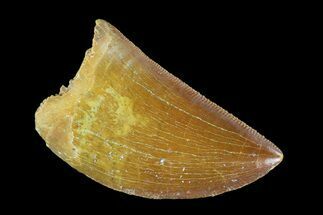 The reason I've labeled it as Deltadromeus agilis? 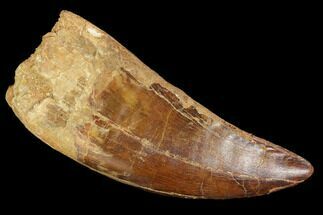 with a question mark is this. 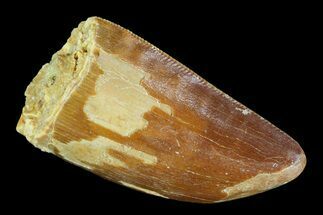 Deltadromeus was described off of a small amount of material that did not include associated teeth. 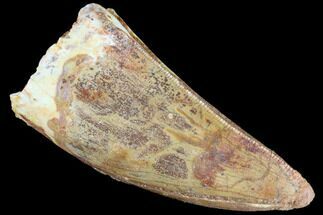 So it's impossible to assign isolated teeth to the species with 100% accuracy, until they are found associated with a skeleton. 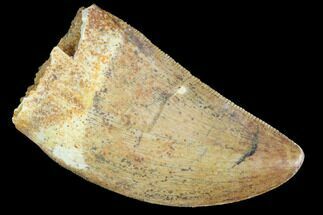 That said, Deltadromeus is believed to be a Ceratosaur and the tooth has many of the hallmarks that would distinguish a Ceratosaur tooth from teeth of the other large theropod described from the Tegana Formation, Carcharodontosaurus. 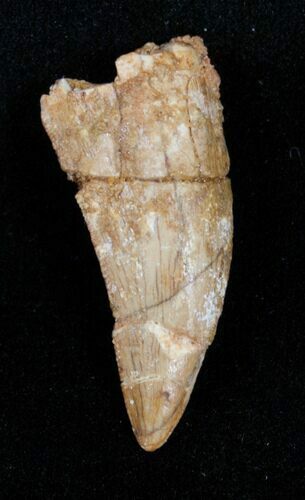 So, it would either be Deltadromeus agilis tooth or a yet to be described large theropod. 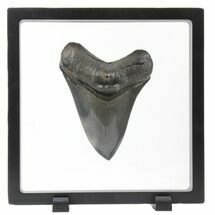 The tooth has several repair cracks but no restoration and is otherwise in very nice shape with good enamel.